Our service guarantees your vehicle will be in roadworthy condition and complies with British laws for road safety and environmental standards. Our professional and fully trained team of mechanics in have great knowledge in all areas of mechanical repair, making us a great choice for maintaining your vehicle. Do you need a MOT test ? Then bring your vehicle to our garage and you will receive a premium service at the best possible price. Want an MOT reminder? Just click here to fill in our online form and receive a reminder. 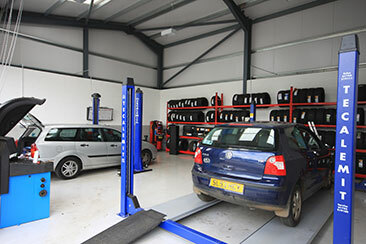 "We have a number of purpose built MOT bays." "All our trained mechanics can get you back on the road in no time at all."